Very quick and easy recipe to make. Serve these with strawberry preserves and whipped cream. Peach preserves would be good too. Combine first 4 ingredients; cut in butter with a pastry blender until crumbly. Add whipping cream to flour mixture, stirring just until moistened. Turn dough out onto a lightly floured surface; knead 5 or 6 times. Roll to 1/2-inch thickness; cut with a 2-inch biscuit cutter, and place in lightly greased muffin pans or 2 inches apart on greased baking sheets. Bake at 375 degrees for 15 minutes or until golden. 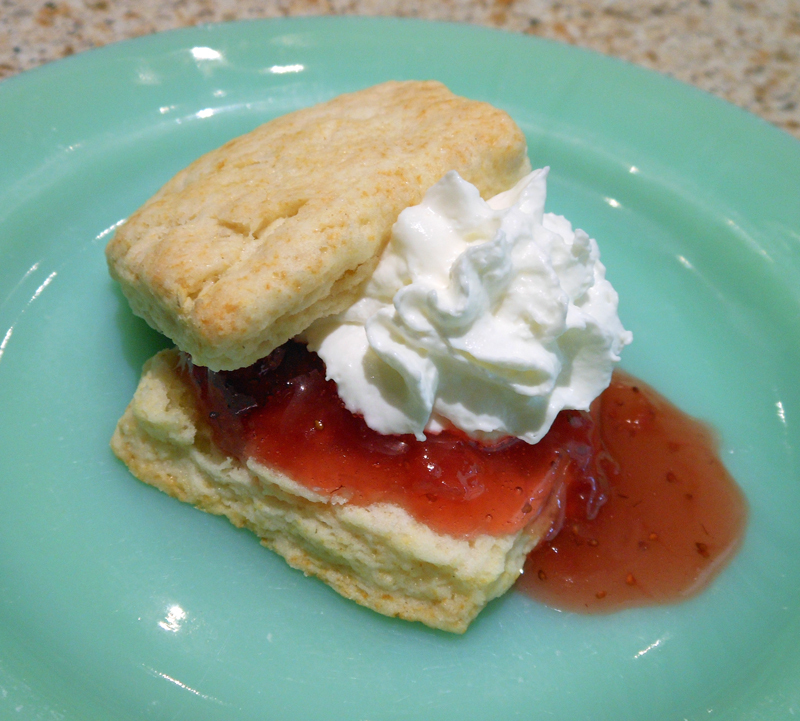 Serve with preserves and whipped cream. Yield: 1 to 1 1/2 dozen.